We have seen every sliding door disaster problem you could imagine, so we decided to write about our top 12 common sliding door disaster problems. In no particular order, here are the common sliding door problems we see every single day. 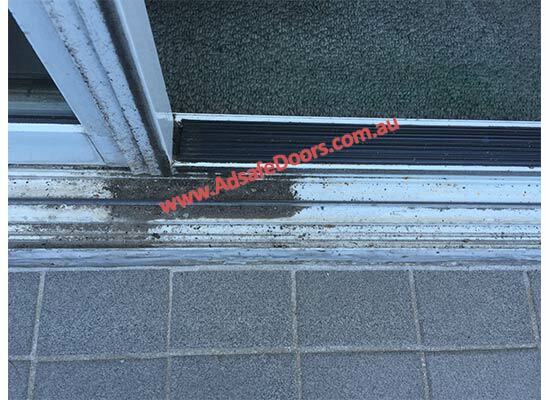 We’ve been fixing sliding doors for 25 years and continue to see these issues time and time again. The good news is we can fix these, and our replacements parts are the best you can get. 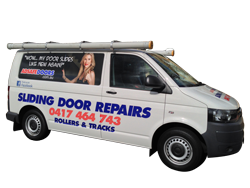 Some people ask if you should replace or repair your sliding door. Click play on the video below to see my answer to that question. 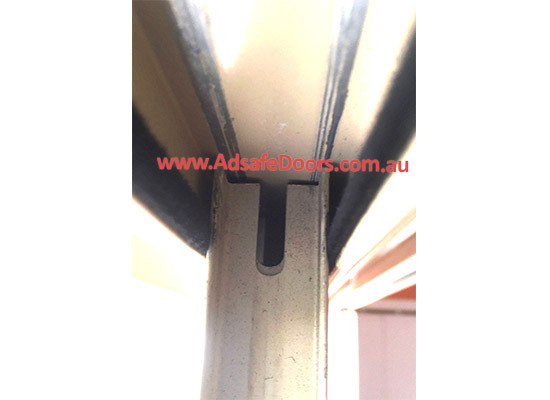 Every sliding door issue below has been fixed by our team. 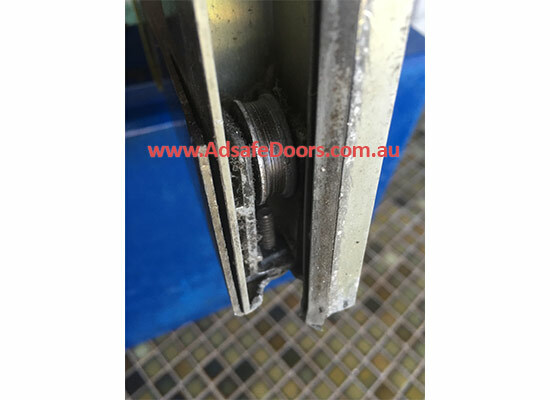 Shows a white plastic roller where the side has broken away causing the roller and hence the door to keep coming off the track. Also, notice that the track is in good condition and is polished Stainless steel. What has happened here is that the track and rollers were repaired recently by an inexperienced repairer. The old track was not machined before fitting the Stainless Steel cover. This caused the roller edge to break away because the new stainless steel track finished wider than what was required by the concave roller. Hence the roller had no choice but to break. 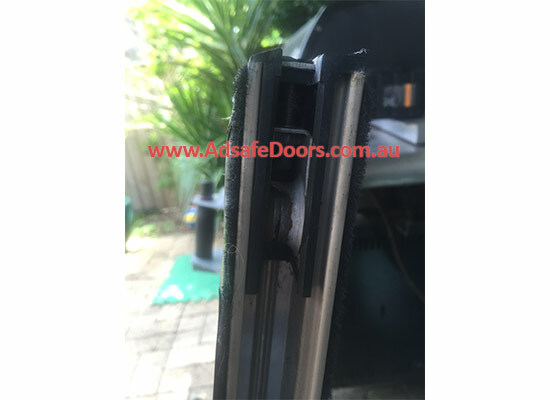 This time the cheap plastic tyre of the sliding door roller has broken away from the bearing prematurely. The tyre shows little wear. This is where the sliding door roller repair is a must. The tyre has broken because the quality of the plastic in the roller tyre was poorly manufactured. 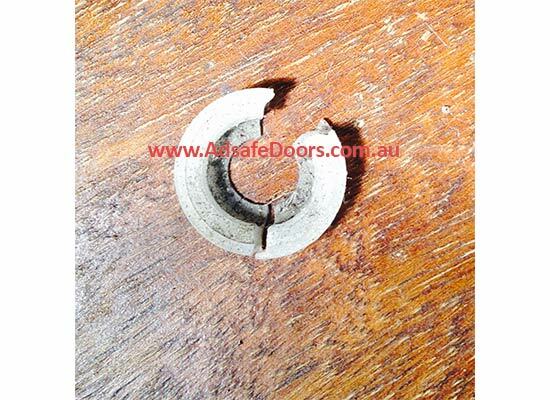 The two images below show the remaining bearing after the plastic tyre has broken away. 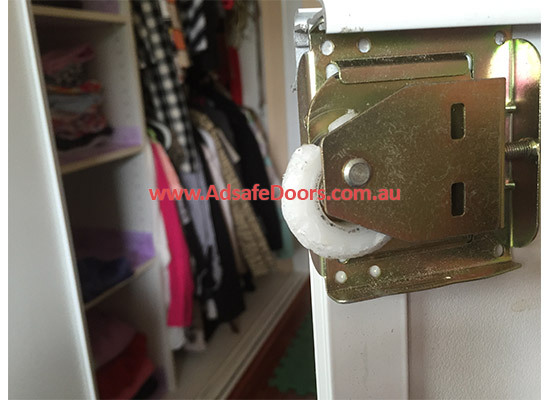 If the door is continued to be used at this stage, then the result can only spell disaster for the aluminium track. 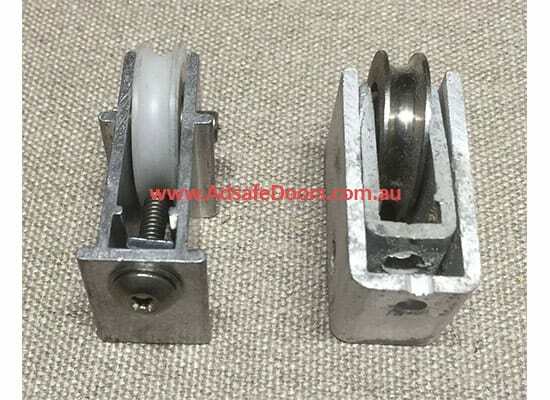 This example of a hard steel bearing on a relatively soft aluminium track will destroy the aluminium track very quickly. The next four images show similarly worn out rollers. You can see that the plastic tyres are broken but have not come away from the bearings of the rollers. 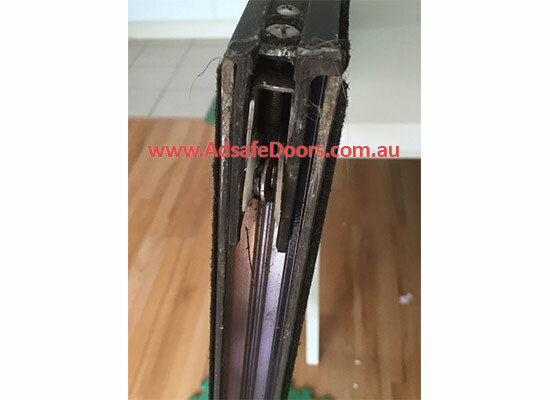 The continued use of sliding doors in this condition wear the door and hence broken. Then, the worn rollers are dragged across the soft aluminium track, destroying the integrity of the track. If you leave this issue unchecked, it will result in premature wear of a new set of rollers. 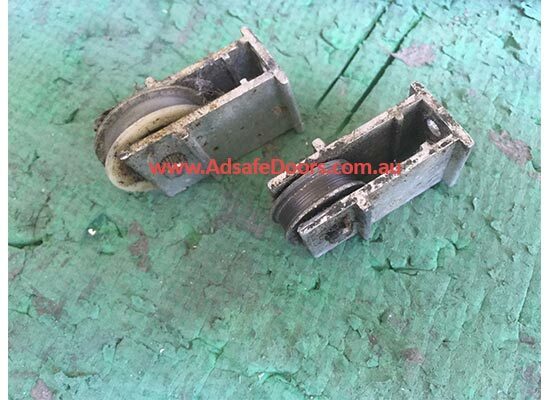 The image below shows a very badly worn wardrobe roller and carriage. 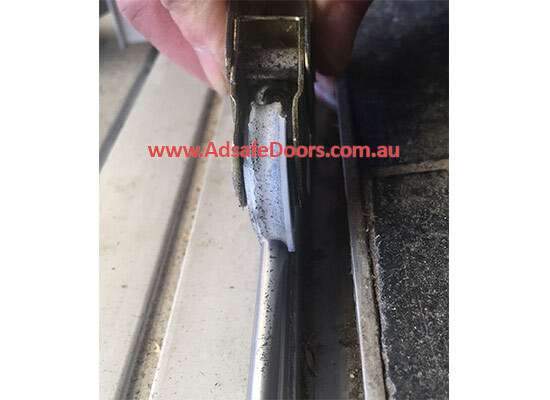 If this door with a worn roller is not repaired, then the resulting damage to the track will cause more damage to roller carriage and then the door. In bad cases, the sides have been torn away from the panel leaving the panel, which in the case of glass, vulnerable and easy to break. The image below shows a worn track. Dark and light areas can be seen which correspond to the worn parts. The track is about 15 years old, and although not deeply scratched or scored, these areas represent corrugations which would be disastrous to a new roller if not fixed. 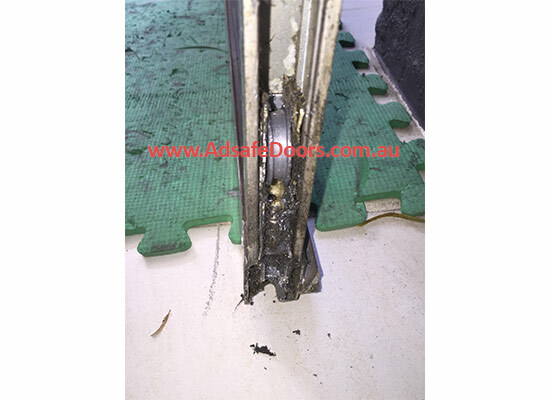 The image below shows an aluminium sliding door struggling to move because the top main frame has collapsed down onto the door. As a consequence, the rollers and carriages and track have been crushed. And the continued use of this door has finally prevented the door from being moved at all. This sort of problem is common with double doors i.e., two fixed panels and two sliding panels. One opens to the left and one to the right. The reason being that double sliding doors require a greater opening width with a much longer lentil in the wall. Usually, about 4 or 5 meters and over the years the lentil sags just a bit in the frame and door. The image below shows a common very unsatisfactory repair. 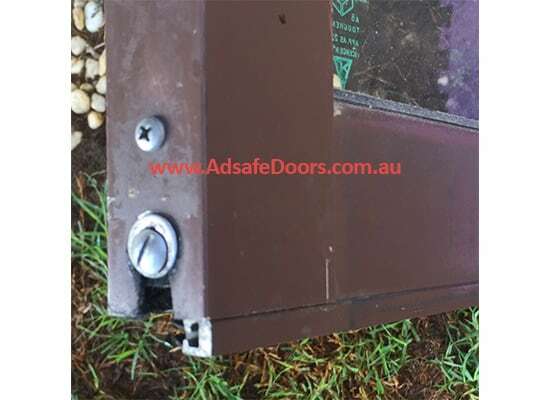 A corner bracket made of aluminium has been riveted onto the door in an attempt to stabilise the door and stop the stile from coming away from the glass because the fastener that holds the stile (side) of the door to the top rail has been broken. 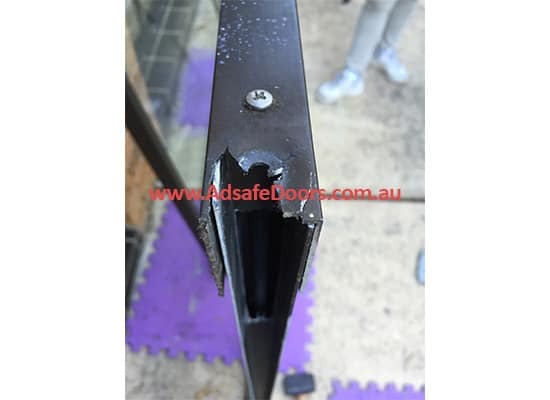 Most likely at some stage, the repairer broke the top fastener when trying to repair the door and did not feel inclined to replace the fastener shank with a new fastener. This picture shows two identical sliding door carriages from the same door. One with an exposed bearing because the tyre broke and came away some time ago. The other shows the tyre intact but worn. 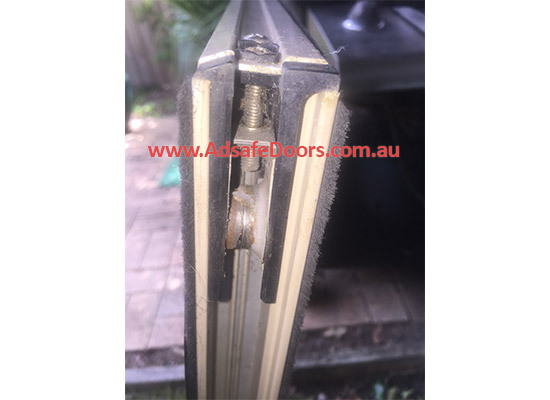 This picture shows an adjustment screw on the side of a Wunderlich door where the aluminium is starting to split and break away. The aluminium side cannot support the weight of the door since the carriage pivots under the door and against the side. This picture shows the same door but on the other side. This time the side has fully collapsed, allowing the door to drop onto the track. Movement of the door at this stage just destroys the track. The image below shows two carriages manufactured for Wunderlich doors. The carriage on the right is the original design. The carriage on the left is the replacement carriage. Notice that the left-hand carriage below is designed to pivot against the door and therefore can cause damage, while the right-hand carriage is self-pivoting and therefore does not stress the door. This is an example of cheaper replacement parts only ending up costing more money in the long run. There are cheap sliding door repairs but you get what you pay for. 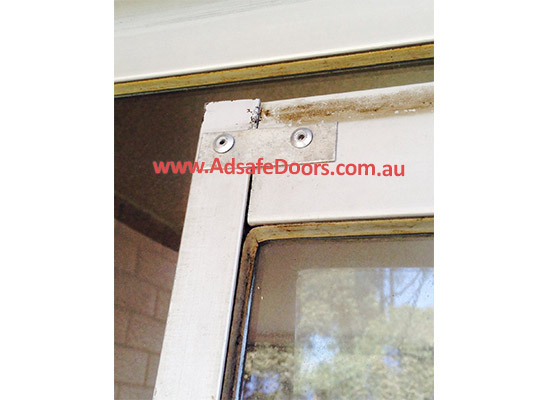 We are able to solve your common sliding door disaster problems and get your door sliding like new again. Call the number above or request a callback and one of our team will gladly help you. The types of sliding door brands we fix include Wunderlich, Airlite, Bradnams, Clearview, G. James, Stegbar, Ryloc, Trend and Wideline to name a few.